Under this Law, male employees who are paying social insurance premiums and whose wives give birth to children are entitled to a maternity leave of 5 working days; or 7 working days in case of caesarean section or where their wives give birth before the 32nd week of pregnancy; or 10 working days in case their wives give birth to twins, an addition of 3 working days for each infant from the second; or 14 working days in case their wives give birth to twins or more infants by caesarean section. Vietnamese citizens aged full 14 or older are eligible for grant of citizen identity cards. A citizen identity card must be renewed when its holder reaches full 25 years, full 40 years or full 60 years. 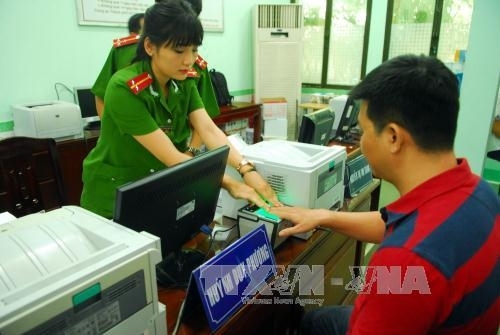 Citizen identity cards will be used instead of passports in case Vietnam and a foreign country have signed a treaty or an international agreement permitting citizens of either signatory to use their citizen identity cards instead of passports in the other’s territory. As per the Law, civil status events include birth, marriage, guardianship, parent and child recognition, civil status change and correction, ethnicity redetermination, civil status information addition and death. Vietnamese citizens as well as stateless persons permanently residing in Vietnam have the civil status registration right and obligation. The Law also adds the right to choose a place for civil status registration. Accordingly, an individual may make civil status registration at a civil status registration agency in his/her registered place of permanent or temporary residence or in the place where he/she is currently residing. Under the Law, excise tax imposed on cigarettes, cigars and other tobacco products will increase from 65 percent to 70 percent by January 1, 2016, and 75 percent by January 1, 2019. As for liquors of under 20° proof, excise tax will increase to 30 and 35 percent by 2016, and 2018, respectively. Meanwhile, those of 20° proof or higher will bear excise tax of 55 percent by 2016, and 60 percent by 2018. Under the Law, citizens aged full 18 will be conscripted; and the conscription age group ranges from full 18 to 25 years. For citizens with collegial or university degree who have received conscription deferment, the conscription age is 27. Once in February or March every year, citizens will be conscripted into the Army to perform the obligation to join the People’s Public Security Force. In case of necessity to meet defense or public security requirements, citizens may be conscripted for the second time. The Law, which consists of 143 articles arranged in 8 chapters, provides administrative units and organization and operation of local administrations in provinces and centrally run cities; rural districts, towns, provincial cities and cities of centrally run cities; communes, wards and townships, and other special administrative-economic units. Accordingly, local administrations, including People’s Councils and People’s Committees, will be organized in law-prescribed administrative units of the Socialist Republic of Vietnam. The pilot non-organization of People’s Councils of rural districts, urban districts and wards will be terminated from January 1, 2016, the effective date of this Law. Under the Law, the maximum number of Deputy Ministers of a ministry or Deputy Heads of a ministerial-level agency is 5. For the Ministry of National Defense, the Ministry of Public Security and the Ministry of Foreign Affairs, the maximum number is 6. In case of merger of ministries or ministerial-level agencies or secondment or transfer of cadres as requested by competent agencies, the Prime Minister will submit the number of Deputy Ministers or Deputy Heads to the National Assembly Standing Committee for consideration and decision. This Law prescribes the functions, tasks, powers, organizational structure and operations of the State Audit Office in Vietnam; tasks and powers of the State Auditor General; tasks and powers of state auditors; powers and responsibilities of agencies, organizations and individuals involved in state audit activities. The 2015 Law contains 8 chapters and 41 articles, prescribing the rights, responsibilities, organization and operation of the Vietnam Fatherland Front; the relationships between the Front and the State, the People and mass organizations; and conditions for operation of the Vietnam Fatherland Front. The Law specifies the nature, purposes and principles of social criticism; objects, contents and scope of social criticism; forms of social criticism; rights and responsibilities of the Vietnam Fatherland Front in social criticism; and rights and responsibilities of agencies and organizations drafting documents put up for criticism. Law No. 14/1999/QH10 dated June 12, 1999, on the Vietnam Fatherland Front, ceases to be effective on the effective date of this Law. The 2014 Law, with 7 chapters and 102 articles, contains several supplementations to ensure the central role of National Assembly deputies in the organization and activities of the National Assembly, and add provisions on the legal position of full-time National Assembly deputies. It also carries new provisions on the Secretary General of the National Assembly.